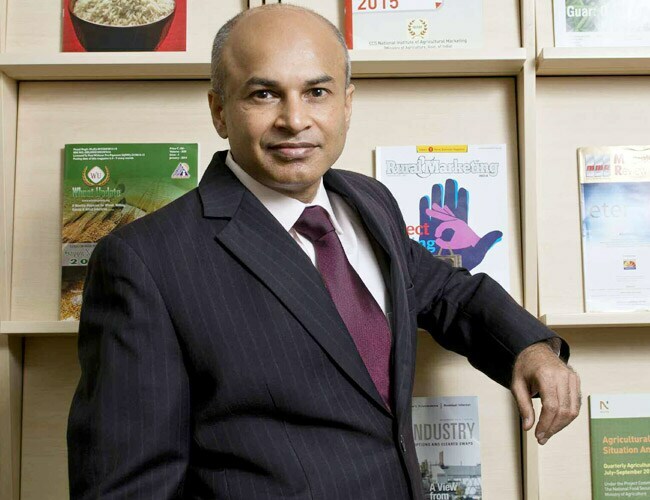 Samir Shah, Managing Director and Chief Executive Officer, NCDEX, tells Money Today that the exchange will encourage physical traders, farmers and retail investors to actively participate in the market and become stakeholders in its growth. Q. What steps are being taken by NCDEX to increase retail participation in commodity trading? A. Commodity futures are fairly new compared to equity markets in India. The task at hand is to build a healthy, secure marketplace, with innovative products which will attract retail participants. For the next decade, there are three priority areas for us. The first is deepening and widening the participation in commodity markets. Second, we want to make it easier for the different stakeholders/segments to participate in the market, be it farmers, traders or investors. Last, but not the least, is to improve and upgrade the warehousing infrastructure, electronic accounting of commodities and adoption of global best practices, all of which are integral to the development of commodity markets. We have launched some investor-friendly contracts. We started with a smaller 1MT contract for guar. The contract is seeing good interest after it was re-launched. The latest example is the recently launched GoldHedge (1 kg contract) and a smaller GoldH100 (a 100 gram contract). These are excellent contracts to attract retail investors with some very easy-to-understand terms and conditions and help convert gold into a financial asset for investors. More such contracts are in the offing. Q. What new contracts can we look forward to? A. We plan to augment our non-agri portfolio significantly as well as strengthen offerings in the agri domain, especially in products which have close linkages with global markets and the physical APMC markets. Q. What are your plans to increase trading volumes in 2014? is the total number of outstanding contracts that are held by market participants at the end of the day. It can also be defined as the total number of futures contracts or option contracts that have not yet been exercised (squared off), expired or fulfilled by delivery. A. While trading volumes are widely tracked, we believe the true barometer of an exchange is the healthy open interest (OI) on the platform and the efficiency and transparency in price discovery. Our plan to drive growth in 2014 has following five elements. Last year, we had some exciting launches of GoldHedge, steel, cotton seed and crude palm oil contracts. We will continue with more exciting offers. Our theme is more specific product launches for different types of participants so that there is wider participation in commodity markets. We would like to keep our products simple and safe and demystify commodities for investors. We plan to launch smaller contracts and unique contracts that will better suit members of the physical trade such as farmers, traders and hedgers. We will launch our next generation of warehouse reforms, making storage of commodities in NCDEX-approved warehouses an even safer experience for traders and farmers. We plan to integrate more efficient commodity financing processes and lenders into our commodity registry, Comtrack, so that better financing options are available to farmers and traders. Market tools: We will provide state-of-the-art market tools to traders to enable them to participate more easily in the market. A recent example is our spread trading tool which has been well received. We plan to make further enhancements to that. We plan to significantly enhance our trading experience through workstations that traders use. We are focusing on making it easier for our members and their clients. Our new team of specialist relationship managers will ensure that our members are well-trained to serve their own and their clients' trading needs. We are working closely with the Forward Markets Commission (FMC) to bring in market reforms that will help make commodity markets safer and deeper. Q. The transaction cost has shot up after introduction of commodity transaction tax (CTT) of 0.01%. Has this hurt retail investor sentiment? A. While CTT has had its effect, contracts which provide genuine price discovery and risk management tool haven't been much impacted. The business value that hedging with these contracts adds remains undisputed. That is why our business in terms of volumes and OI has grown despite adverse market situation. The average daily trading volume (ADTV) has grown 38% in December 2013 as compared to May 2013 and 13% in the quarter October-December 2013, compared to the quarter July-September 2013. The industry has shown resilience in using our price discovery and risk management products despite higher costs due to genuine value perceived. A case in point being the NCDEX Refined Soya Oil contract, which has seen an increase in open interest q-o-q post imposition of CTT. Contracts which haven't stepped up to the plate as regards genuine price discovery and risk management have fallen by the wayside and have borne the brunt of CTT. Falling volumes in natural gas, copper, crude could be indicative of lack of value to the hedgers. Q. What steps are being taken to reduce speculative trading and facilitate genuine price discovery? are investors who take steps to reduce the risk of an investment by making an offsetting investment. A. With India being the largest producer and consumer of major agricultural commodities in the world, price discovery takes place within the country unlike in nonagricultural commodities. Our volume-to-open interest ratio is the healthiest in the industry. Our network of NCDEX-approved warehouses across the country ensures that state-of-the-art storage capacity is available at all times for farmers and traders to deliver commodities on the exchange. Deliveries of actual commodities drives efficient price discovery. We enable 1 lakh metric tons of deliveries every month. Additionally, we are awaiting FMC approval on some sops for hedgers and some of the proposed measures like reduction of margins, easier position limits, etc. which could go a long way in increasing hedger participation. Q. Hedgers' participation in India is very low compared to the rest of the world. How do you plan to address this? A. NCDEX will continue to focus on commodities that are crucial to the Indian economy as well on increasing the participation of hedgers - those with genuine exposure to the underlying commodity such as producers, processors, industrial consumers, exporters, importers and traders. Moreover, the sheer size of the agricultural market in India is exciting. India produced crops worth Rs 9.23 lakh crore in 2012-13. Only a tiny fraction of this is currently being traded in the futures market. So the headroom for growth in agricultural segment itself is enormous. If international futures multiplier holds true for the domestic market, our maize annual trading volume will grow from the current 5.6 million tonnes to 190 million tonnes. While the hedger-friendly measures in offing will help, what could give a definite boost will be a synergistic approach from the banking fraternity who can offer innovative products that juxtapose credit with risk management solutions for clients. A coordinated effort between the commodity and banking regulations could help address this effectively. Q. What steps are you taking to grow NCDEX's proportion of nonagri business? are those who attempt to anticipate price changes and, through buying and selling, make profits. A. We hope to significantly expand the NCDEX non-agri basket. Our target is to have around one-third of our business come from metals, energy and bullion in the next couple of years. We have rationalised transaction charges for all members, resulting in savings by up to a third. The GoldHedge contract has received an encouraging response from the market and we hope to build on it. We have also relaunched the steel long contract based on BIS 2830 grade, encouraging the migration of the steel industry towards approved BIS norms. Q. What according to you are the regulatory/legal changes that are required to improve commodity trading? A. We would like to encourage corporates, physical traders, farmers, government institutions and retail investors to actively participate in this market and take a stake in its growth. Needless to say this needs support of the policymakers and strengthening of the regulatory system. We are enthused with FMC's setting up of the Technology Advisory Committee and the Risk Management Group where a variety of far-reaching market reforms and market development initiatives are being discussed. Passing of the FCRA Bill will pave way for major reforms in the commodity derivatives market. It will also help the country to take its rightful place in the global commodity markets as a 'price giver', being one of the major markets, as also the largest producer and consumer of agricultural commodities.